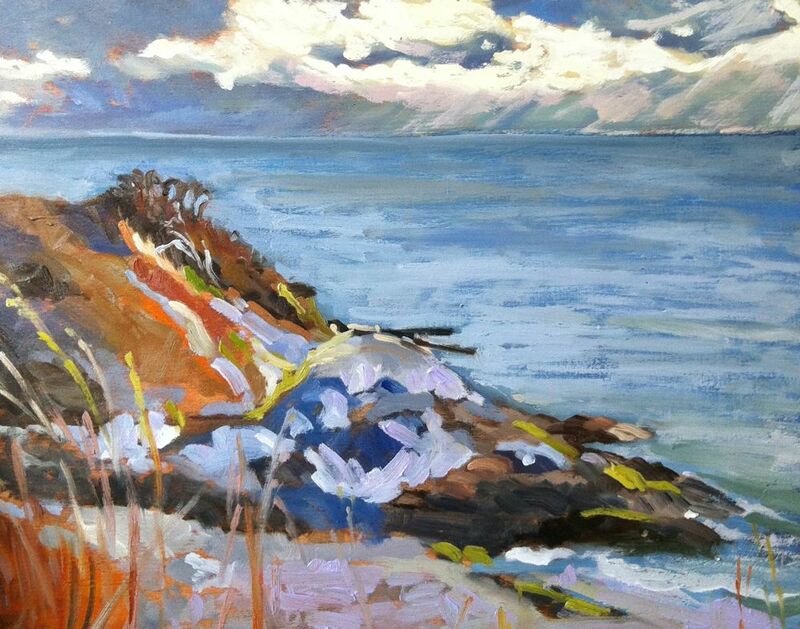 I did today's painting at Oak Bay Marina. 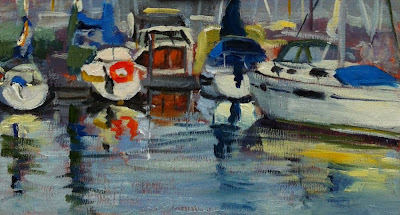 I was a little intimidated by all the boats but think this painting works because of the suggestion of more and more boats in the background without putting in too much detail. This morning's painting at Holland Point Looking towards the Olympic Mountain Range. Looks like it was raining across the water. It was a very windy morning but the sun came out half way through the painting. This is Anderson Hill. Those are stun=ted oak trees. 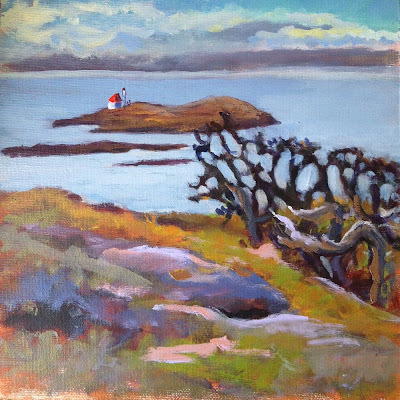 The island is Trial Island. 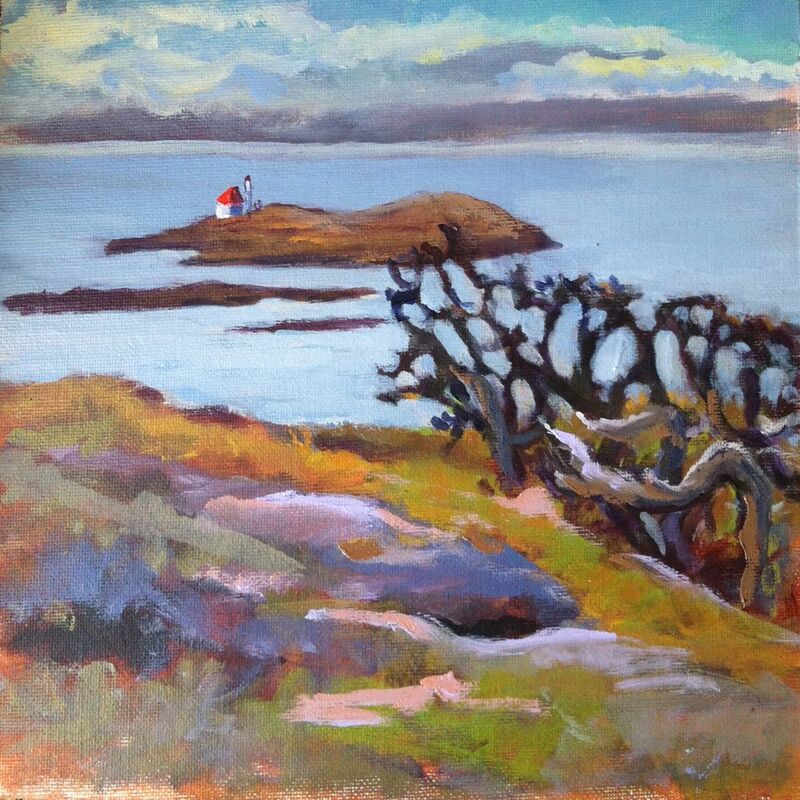 I left out the four antennae on the island as I felt they would add nothing to the painting. 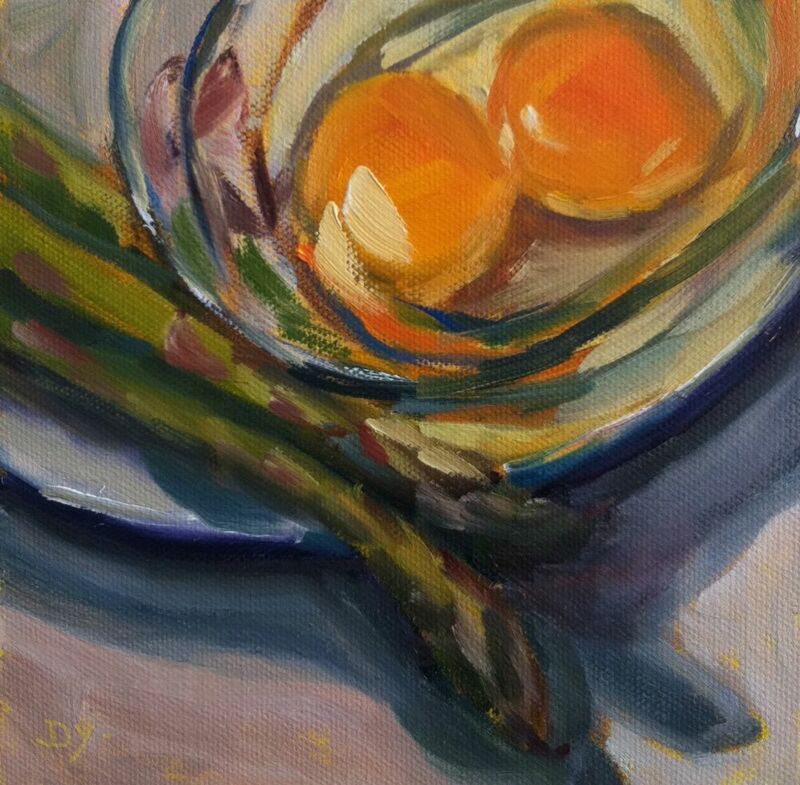 Eggs and asparagus go so well together. I like the reddish bits and shadows the most.